Over the last 30 years, Elliott Bay Design Group (EBDG) has been involved in numerous waterfront projects including the design of ferries, barges and tugs. Although its history is rich with traditional vessel designs, occasionally the firm is involved in more unique projects, one of them being the design of a purpose-built landing craft for San Juan Ferry & Barge.EBDG partnered with Latitude Marine Services (LMS) to update the design of a current landing craft operated by San Juan Ferry & Barge, designed by EBDG and built by LMS. 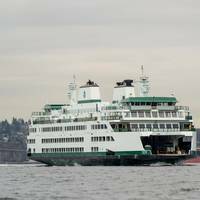 Washington State Ferries, the nation’s largest ferry system, carried nearly 24.5 million passengers in 2017, its highest ridership since 2002. Ridership increased for the ninth consecutive year and was up by more than 250,000 over 2016. “We expect our ridership to continue to grow as more people move to Western Washington,” said WSF head Amy Scarton. “As part of the state highway network, the ferry system is a critical link between more affordable housing on the west side of the sound and key employment centers on the east side. 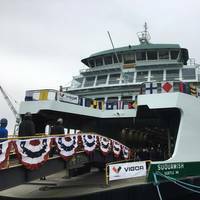 The Washington State Department of Transportation (WSDOT) christened Suquamish, its fourth Olympic Class auto/passenger ferry, to serve passengers on the Mukilteo/Clinton route beginning in 2019. 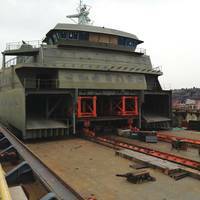 The christening ceremony was held at Vigor's Harbor Island Shipyard in Seattle, where the new 144-car ferry has entered the final stages of construction and preparation ahead of sea trials starting in mid-2018. In addition to summer operations on the Mukilteo/Clinton route, the new ferry will also serve as a maintenance relief vessel in the winter, filling in when other vessels are out of service. 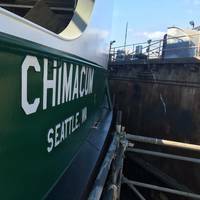 A total of 5,300 gallons of Sherwin-Williams Protective & Marine Coatings ensures that one of Washington’s most valuable assets will provide service for years to come. 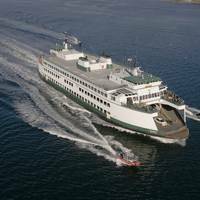 With a longstanding history of ferry operation in the Puget Sound, Washington State Ferries (WSF) was in need of a coatings company with just as strong of a reputation when preserving the 3,634-ton M/V Kaleetan auto/passenger ferry in the summer of 2015. Built in 1967 in San Diego, Calif., the M/V Kaleetan – which means “arrow” in Chinook – first went into service in early 1968 and was rebuilt in 2005. Washington State Ferries (WSF) has sold its oldest ferry, Evergreen State, for $300,000 to Jones Broadcasting, LLC., who plans to use the 63-year-old vessel for ferry service in the protected waters of the southern Caribbean. “The Evergreen State is a special ferry. 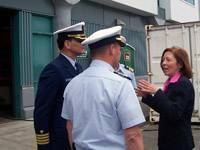 It was the first vessel custom built for Washington State Ferries in 1954,” said Ferries Chief of Staff Elizabeth Kosa. 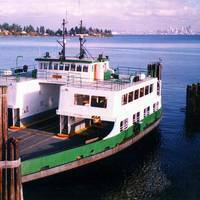 The first of the three Evergreen State class auto/passenger ferries, the 87-car, 854-passenger Evergreen State features surplus drive motors from World War II. Improved funding and management changes have the nation’s largest ferry system on a course to better times. Challenges remain, but WSF tackles each one in turn. Unlike the citizens of British Columbia, which pays a German shipyard to build its ferries, Washington state residents resolutely invest at home. By law, ferries are built locally and the results, overall, seem win-win. The state’s Office of Financial Management estimates that every $75 million in ferry construction generates about $90 million for the state’s economy. FRS has acquired a majority interest in Clipper. FRS is a global ferry and shipping group, currently operating 60 vessels in 12 countries, and carrier of more than 7 million passengers and 1.9 million vehicles last year on national and international ferry lines. 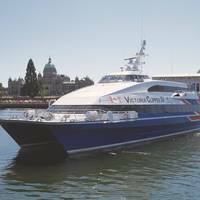 Clipper, operator of Clipper Vacations, is a recognized company in the Pacific Northwest and Western Canada, offering unique regional travel experiences, including high speed Victoria Clipper ferry services from Seattle to Victoria, and Seattle to San Juan Island. 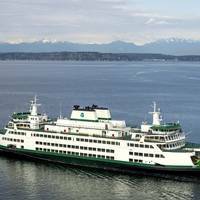 The Washington State Ferries (WSF) summer 2015 sailing schedule will take effect Sunday, June 14, with a new Olympic Class vessel, additional sailings, vehicle reservations to the San Juan Islands and increased service hours on many routes, the state’s transportation department announced. 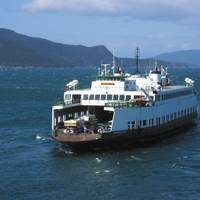 For the Anacortes/San Juan Islands service, WSF added a fifth vessel, the new Olympic Class 144-car ferry Samish, for more sailings, providing better connections to Anacortes and Friday Harbor during commute hours. Also new this summer, customers can make vehicle reservations to and from the San Juan Islands. 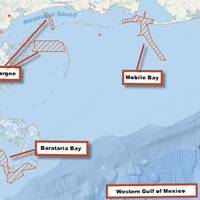 New data will update nautical charts around the country. As sure as spring arrives, NOAA vessels and independent contractors are hitting the seas for the nation's 180th hydrographic surveying season, collecting data for over two thousand square nautical miles in high-traffic U.S. coastal waters. "Nautical charts are the foundation for the nation's maritime economy, and NOAA hydrographers spend months at sea, surveying critical areas to ensure safe navigation for the shipping, fishing, and boating communities," said Rear Admiral Gerd Glang, director of the Office of Coast Survey. 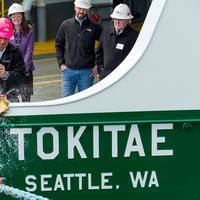 State elected, transportation and manufacturing leaders were on hand today to celebrate the christening of the state’s first 144-car Olympic Class ferry, the M/V Tokitae, at Vigor Industrial’s shipyard in Seattle. Lynn Peterson, Washington’s Secretary of Transportation, served as the ship’s sponsor and broke a bottle to christen the new ferry before a crowd of more than 200 people. Speakers at the ceremony explained that the vessels will ensure safe, reliable ferry service, save taxpayers money and provide jobs for the state’s maritime workforce. Washington State – Alaska – Non tank final rule & Washington State – Contingency Plan requirements. We refer to our circular no. B.613. As stated in that circular, every tank vessel and every other vessel over 300 GT is required under State law to file a contingency plan prior to entry into the waters of Washington State but that instead of filing his own plan an owner can subscribe to an umbrella oil spill contingency plan. Since publishing the abovementioned circular, Washington State Maritime Co-operative (WSMC) has changed its enrolment agreement and the version with footer “WSMC Enrolment Agreement – December 2013” conforms with the International Group’s guidelines on vessel response plans. American Cruise Lines announce the addition of a new itinerary for 2013 – Puget Sound and San Juan Islands . 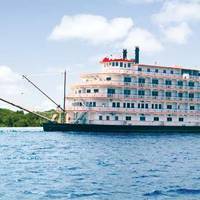 Offered aboard the 100-passenger American Spirit, roundtrip cruises from Seattle will showcase the most beautiful inland waterways on the West Coast. 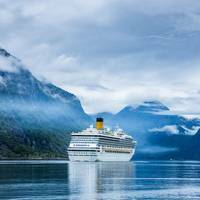 Puget Sound, which will include the San Juan Islands, will be the newest offering in American Cruise Lines’ Pacific Northwest cruise collection, which includes Alaska’s Inside Passage and the Columbia & Snake Rivers. Inaugural cruises are slated to begin on April 6, 2013. Cantwell, Senators Urge Support for Dredging of Small Ports, Including Swinomish Channel, Port of Ilwaco. U.S. Senator Maria Cantwell (D-WA) has joined a group of Senators in urging key appropriators to include funding for dredging small and low-use ports in the fiscal year (FY) 2013 budget. 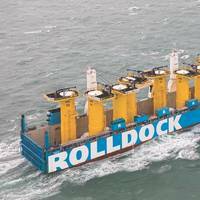 Small and low-use ports are ports that don’t have enough tonnage to meet the Army Corps of Engineers’ threshold to qualify for annual dredging support but represent important economic engines of the communities they serve. The Yakima ferry was immediately removed from service this morning after maintenance crews discovered signs of abnormal wear on the journal bearing, which supports the propulsion shaft. 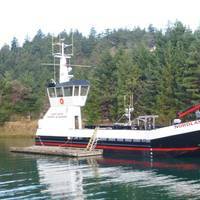 Ferry riders in the San Juan Islands should expect delays through the weekend and next week with the 144-car ferry out of service. 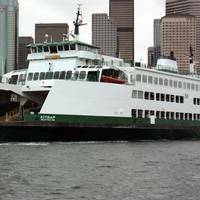 Washington State Ferries is moving vessels to maintain service on the route. The available vessels have less capacity and are slower than the Yakima and will not be able to keep the regular schedule. Starting Saturday, Oct. 8, the 34-car Hiyu will replace the 87-car Evergreen State as the inter-island vessel. 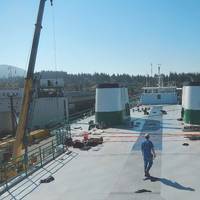 The Evergreen State will then serve as one of the three vessels that sails between Anacortes and the islands.